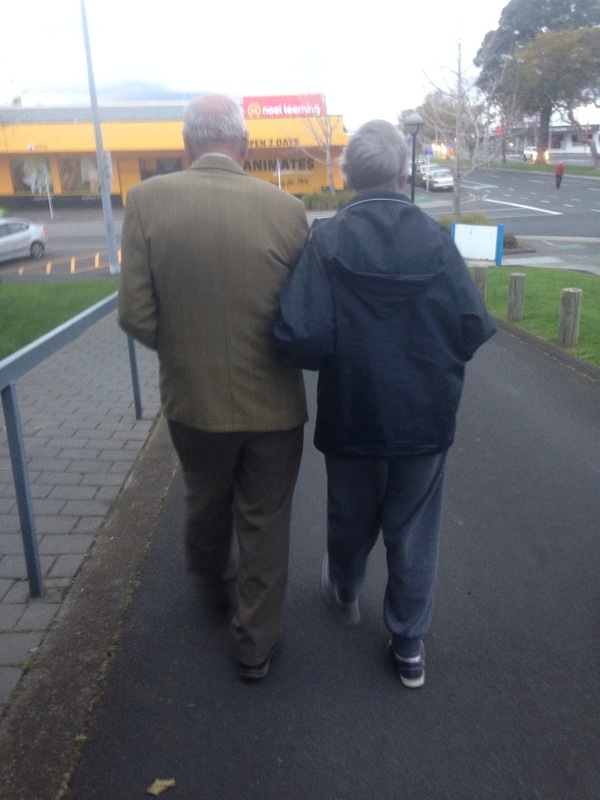 Locked in for my first Saturday back was a trip to Tauranga to spend the day with my Opa and Babcia. I’d scheduled it in my diary before I’d even lifted off the runway to head away. Locked in; an afternoon of showing them photos of my vay-kay, then off to church as a trio. My Opa and Babcia are incredible people. Born in 1928 into a family of fifteen children, Opa was brought up in the densely populated town of Alphen aan den Rijn, Holland. With a traditional, patriarchal family set-up Hendrick had a strict upbringing, leaving school at the age of 13 to join his father in his milkman business. Socioeconomic conditions were grim; WWII had left Holland desolate. The 17 Wortmans were living in a three-bed roomed home, experiencing extreme hardship. Holland and New Zealand had developed an exchange relationship where young Dutch immigrants were bonded and sponsored out to the South-Pacific nation. Driven by hope of social and economic betterment and the chance to escape the limitations of war-ravaged Europe, Hendrick signed on. In 1951 at the age of 23, he embarked on his migration, only able to speak the native tongue of his home country. Before leaving Alphen, Hendrick’s grandfather has relayed to him the importance of settling down and starting a family in the new land, telling him, “Once you have a family, you’re there.” At a weekly dance a few years after settling in Wellington, the Dutchman came across a beautiful Polish damsel – Teresa Dabrowska, my Babcia (grandmother). Babcia is the most gentle, kind-heated soul I’ve ever come across. Quiet and shy, engage her in convo about dogs, church or us grandkids and she’s full of chat. You’d never guess that this beautiful woman had a childhood out of a WWII film. Babcia was born in Lwow, Poland, in 1933, one of the four children. Her merchant family owned a business consisting of a cafeteria, fruit shop and bakery which they ran until the Soviets attacked in September 1939. The NKVD arrested Babcia’s father the same year, and the family did not know until many years later that he had been a murder victim of the Katyn Massacres. In April 1940, my Babcia, her mother, sister and brother were abducted by the NKVD and herded onto a cattle wagon to be deported to a concentration camp. Babcia’s mother knew her youngest daughter Marysia would not survive, so she handed her between the rungs of the carriage to a family friend in the surrounding crowds. Only a year old, Marysia was not united with her family for a further ten years. First sent to Kazahstan for hard labour, then moved to Siberia, Iraq and Iran, Babcia and her mother eventually migrated to New Zealand in 1944 as part of a displacement camp holding more than 700 children. So both Opa and Babcia have both faced extreme hardship and turbulent times, something you would never guess should you venture into their Tauranga home full of the scent of freshly baking bread, flourishing flowers and home grown fresh produce. The two have always been a colossal part of my life. Growing up living next door to them meant seeing them on the daily, a fortune I have come to appreciate much more as I have grown older and seen the distant relationships many of my peers have with their own grandparents. Faith is prodigious part of Babcia’s life, with her religiously (so, so fitting) attending mass each and every week. Up until the past year she has always gone alone, but now Opa accompanies her, which has absolutely lit up her world. So Saturday just been, I went along with the pair. And it was so special. On the way to church we had a delightful prattle about relationships. 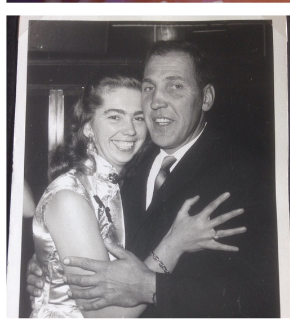 We marvelled at the fact that at my age Babcia had already busted out two babies and was onto number three, and how we really like my older brother’s girlfriend and hope the two end up settling down together. I voiced to Opa that maybe one day I’d meet someone that could keep up and put up with me, and he responded, “With your personality, you don’t need anyone.” My heart honestly just swelled. If my granddad thinks that of me, then I’m winning at life. Walking into church, Opa sidled up between Babcia and I and linked arms with us both. You could tell he was just absolutely tickled silly that I’d come along with them, and was like a little schoolboy with his friend over for a play date. It’s funny, in church I never listen to the priest or follow the readings; rather, I drift off into my own world, thinking of people that have passed and loved ones still around. I just sat and observed Opa and Babcia a lot, loving witnessing him singing the songs and intently listening to the homily and Babcia praying with pure belief and commitment. I read somewhere a little while ago that you should record the voices of loved ones so that when they pass on you have an archive of their unique intonations and inflections. I suddenly remembered this in the car on the way home, so I whipped out the trusty IPhone and recorded the two talking about menial things; daylight savings, traffic lights, dinner. Replaying it later, I was thrilled to find I had captured the essence of what makes them them. I think often grandparents are overlooked. I mean, there is that love for them as “Nanna” and “Granddad”, but sometimes they are forgotten as the child, the teenager, the young adult, they once were. It’s immensely important to learn their history and in turn your own. Your legacy. The love you have between a grandparent and grandchild is a special, unique love that does not formulate elsewhere. Parents are providers and disciplinarians; grandparents can just enjoy their grandchildren for who they are in the moment. I look at Opa and Babcia and am just in awe of them. Their bravery, their soldiering on, their contentness. What an incredible pair.